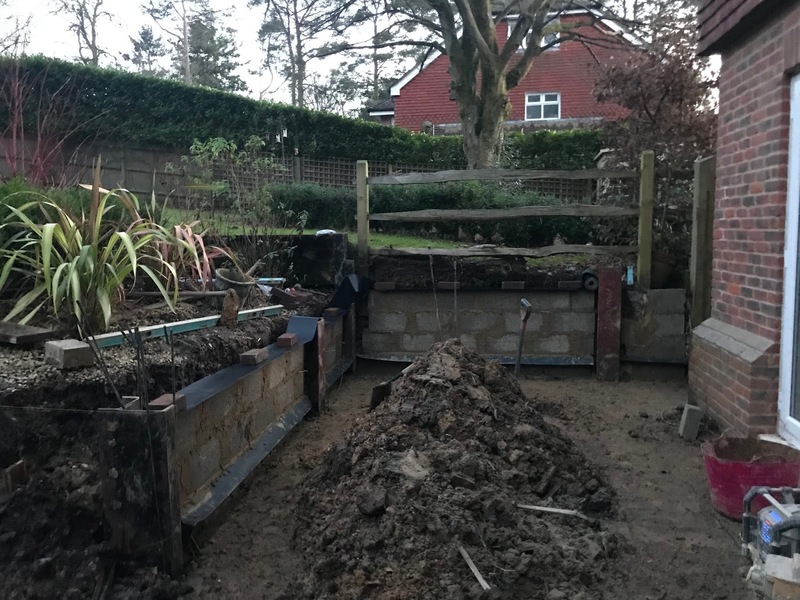 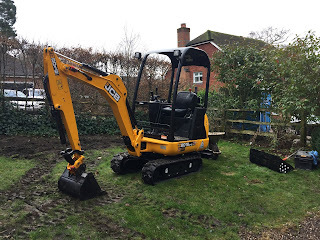 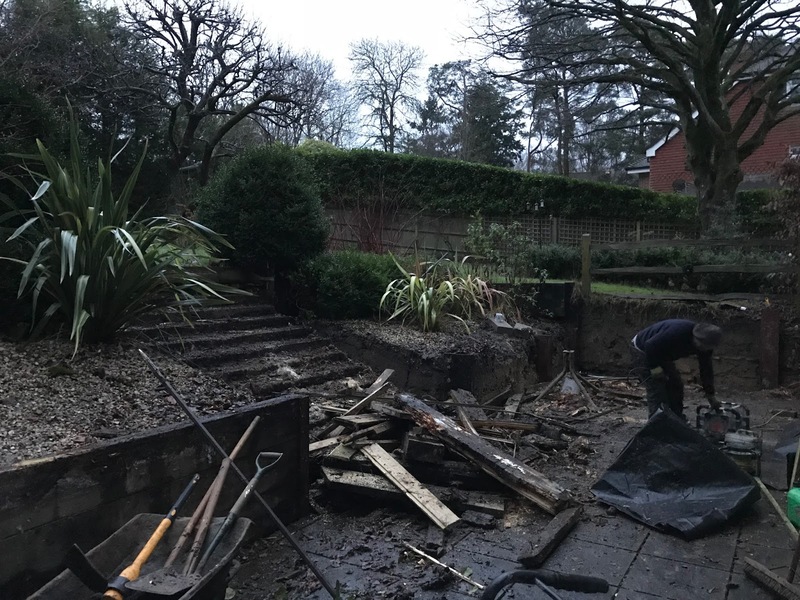 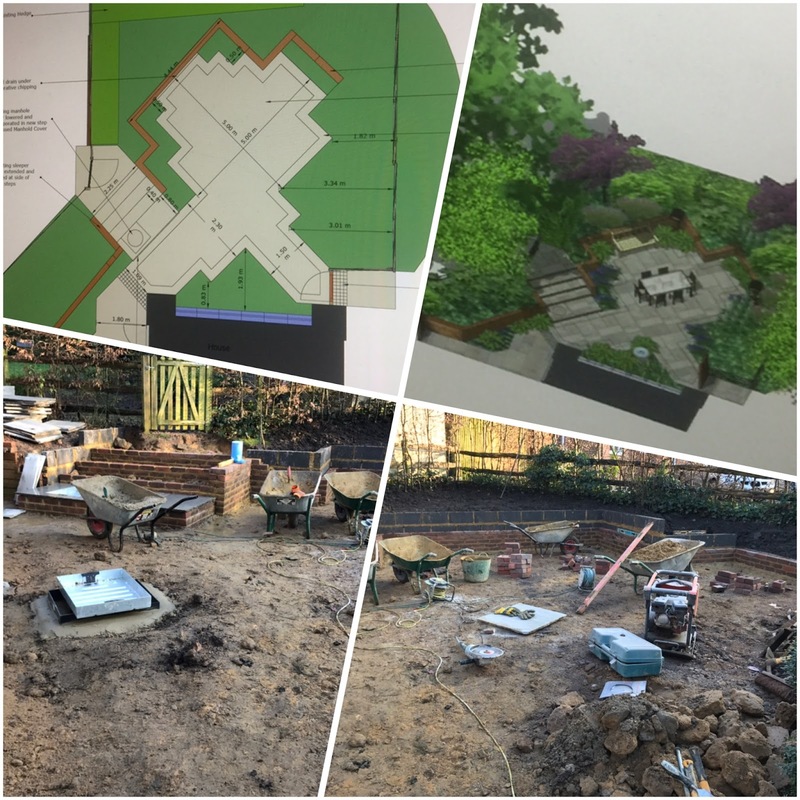 Back at the start of 2017 we undertook a garden makeover for a client in Crawley. 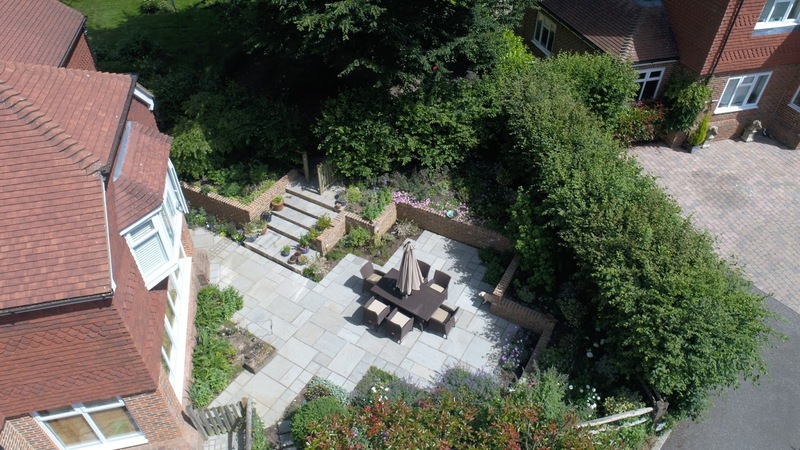 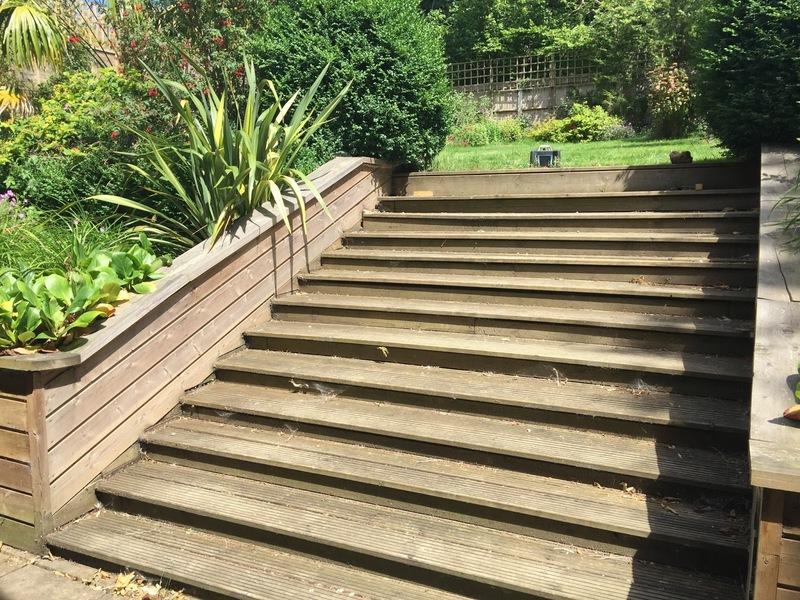 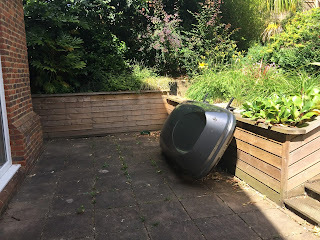 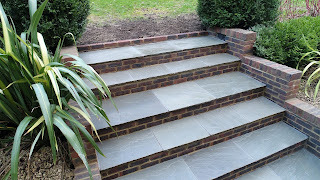 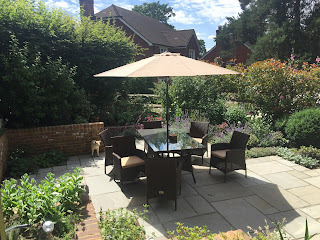 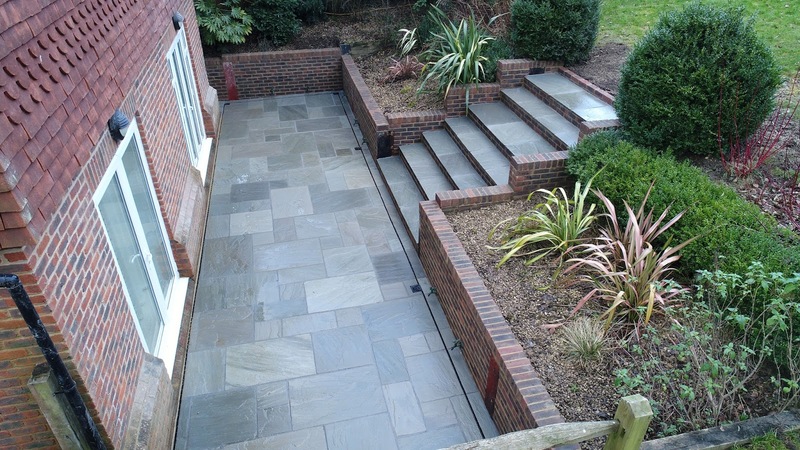 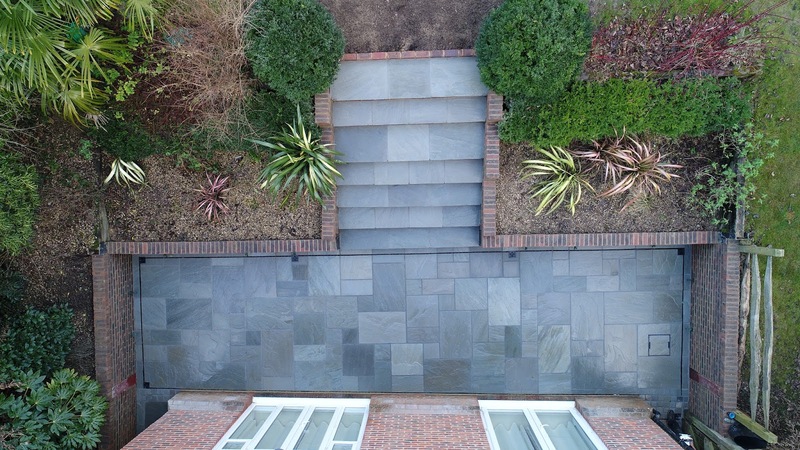 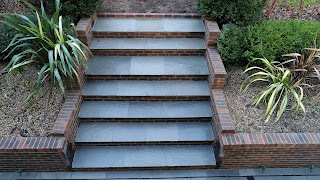 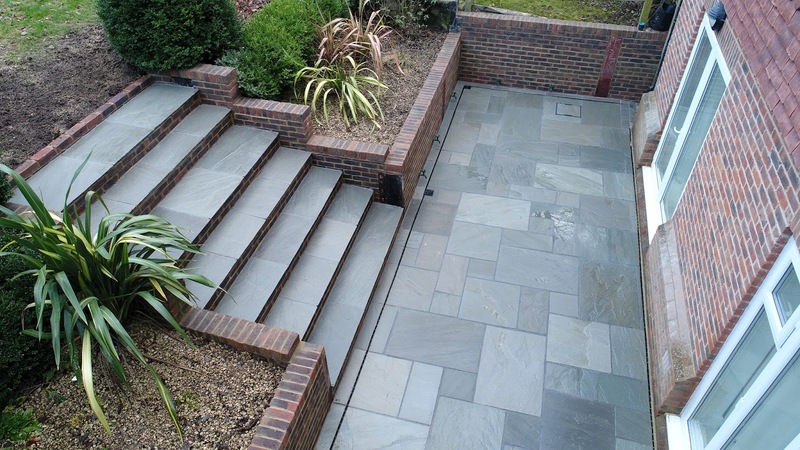 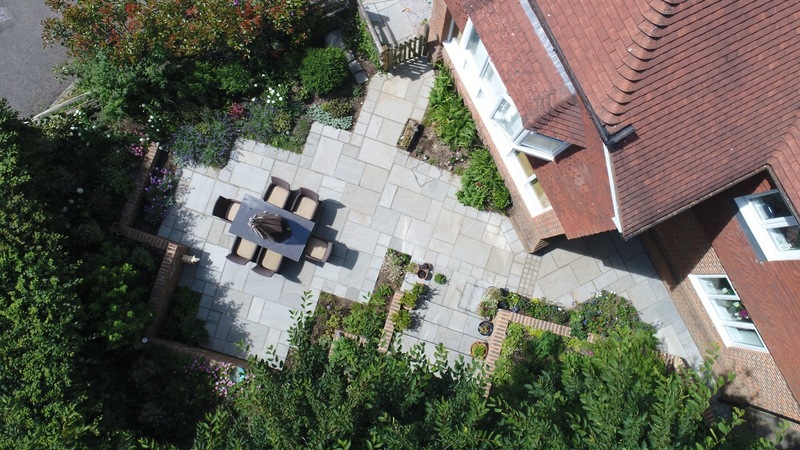 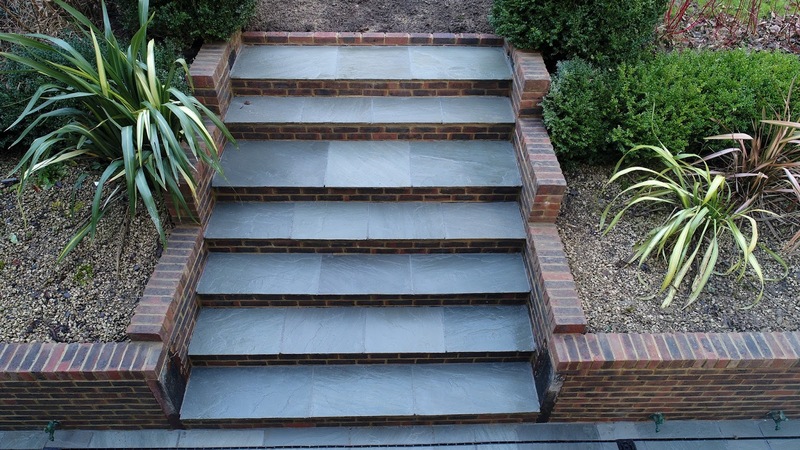 We were approached by Garden Designer Cherry Mills who designed the side garden transforming a sloping grassy area into a usable patio space with retaining walls and kandla grey paving. 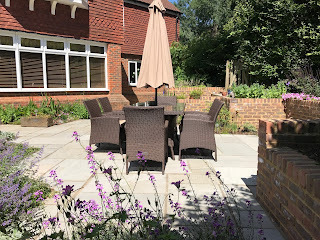 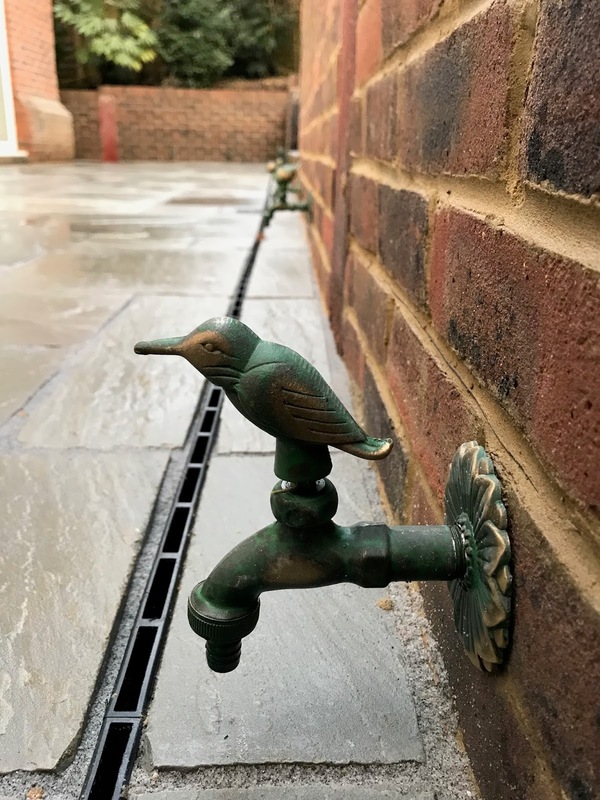 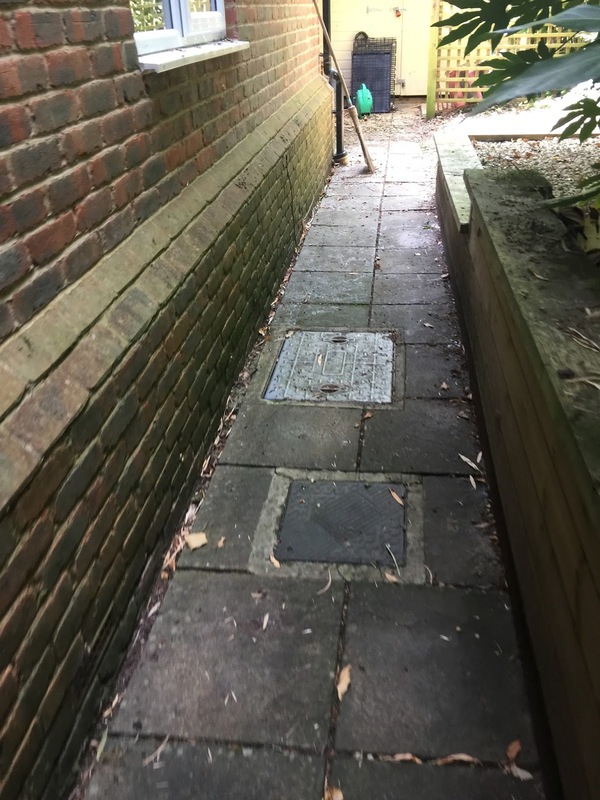 Shortly after we completed the project the clients asked us if we could quote to refresh their back garden and side path in line with what they had in the side garden. 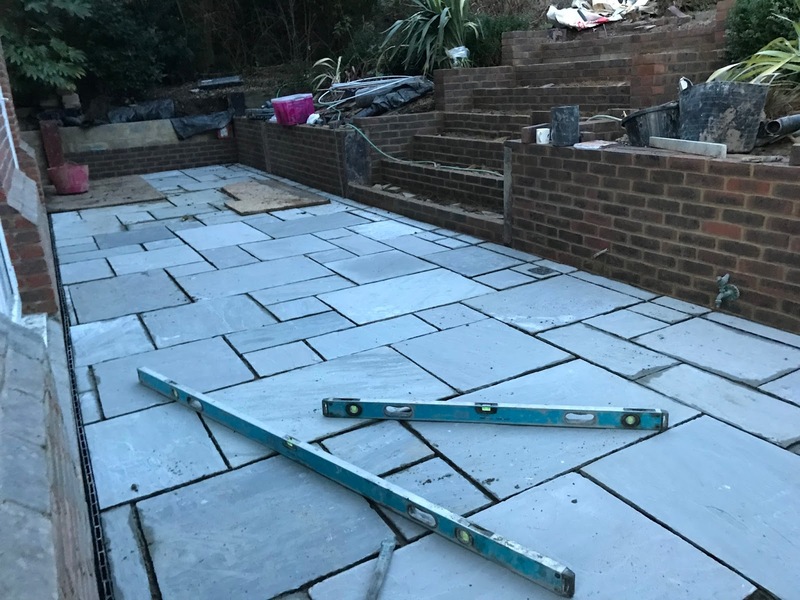 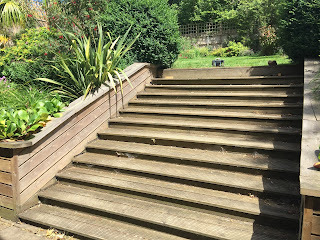 This would involve taking out rotten wooden retaining walls and replacing with brick walls and replacing the paving with kandla grey paving. We also had to add in drainage. 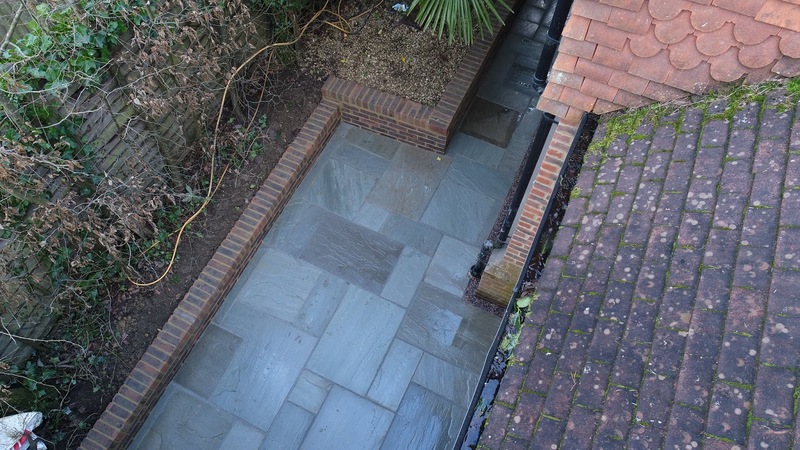 New brick retaining walls, drainage, new wider tread steps and new patio. We pointed the patio with GFTK resin pointing. In the photos above the paving is wet so it is showing all the blue/grey tones. 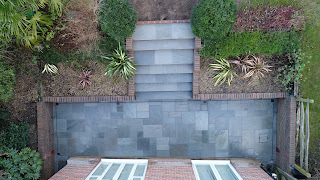 When it is dry it has soft mellow grey tones. We are really pleased with the project and transformation and so is our client. It has been great to transform both gardens for our client. 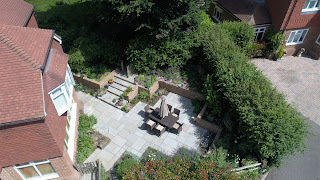 Here's hoping for a lovely summer so they can enjoy it with their family and friends.